Insulated glass is dual-pane glass that has a layer of gas trapped between the two panes. The glass is of a different density than the air on both sides of the panes, which keeps temperature changes from occurring through radiant heat exchange. When panes become cracked or seals between panes are damaged, the gas escapes and the glass loses its insulated properties. 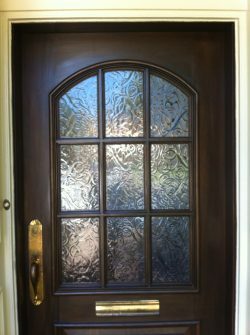 If you live in a home that lacks insulated windows or that needs insulated glass replacement in Coppell, TX, waste no time in calling AmeriTint Window Specialists, Inc. Not only can we swiftly and accurately replace dual-pane glass, we can even identify issues you didn’t know existed with your other residential glass. Do You Need Insulated Glass? 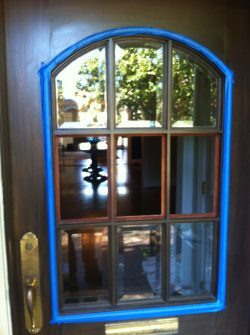 You might be asking, “do I need double pane glass replacement in Coppell, TX?” There are a few easy ways to tell right away. First, if you notice fogging between panes of glass, it’s a good sign of a broken seal. Also, if you feel hot or cold spots near a specific window, there’s a chance the pane is no longer insulated. To truly tell if you need insulated glass replacement, however, you’ll need to call the pros. We can examine your windows and tell you what kind of glass you’ll need to replace or upgrade to. For example, if your home was built in the Dallas-Fort Worth area prior to 2003, more than likely your window glass isn’t insulated. Texas home builders started using insulated, high-performance glass called Low E2 Glass in 2003. Increased privacy and curb appeal are easily achieved by replacing existing glass panes with decorative patterned glass. If your home doesn’t have dual-pane, insulated windows, it might be time to make an upgrade. Insulated glass can dramatically improve your home’s efficiency, increase the comfort of your living space and even help reduce ambient noise from outside! Plus, your windows will last longer and perform better year-round. If you’re thinking about upgrading to insulated panes or have damaged insulated glass anywhere in your home, contact the experts at AmeriTint Window Specialists, Inc. right away. We’ll examine your windows and help you get the panes you need to live comfortably. Reach our professionals at 817-265-8468.